Our fine selection of cruises includes combinations of world class destinations and unique sights with high quality services and facilities at competitive rates. You can find a wide variety of cruises with duration from 1 to 8 days, delivered frequently from March to October every year, with the 1 Day Saronic Cruise being available all year round. Cruises include and combine Greek islands around the Aegean Sea, such as Santorini and Mykonos, as well as east Mediterranean destinations, including famous Turkey resorts such as Kusadasi and the Nile in Egypt. All cruises include cultural sightseeing through additional excursions, offered at many stops. Religious themed cruises are also available. 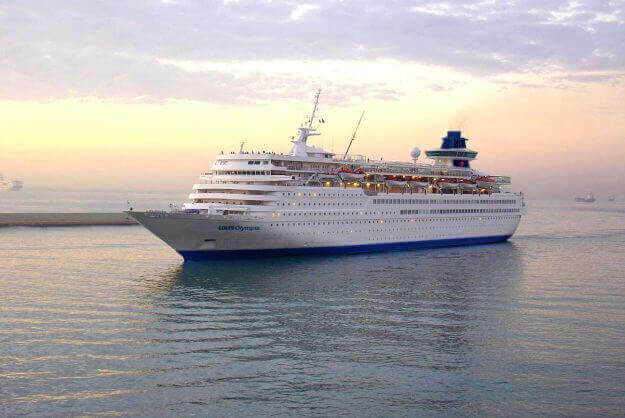 The cruise ships with which the itineraries are conducted offer a wide range of quality facilities, lounges, theater shows, bars and discos, restaurants, fitness services, beauty centers, casinos, wellness centers, conference rooms, swimming pools, medical clinics, libraries, internet areas, duty free shops, saunas, spa and massage rooms. They have an average capacity of 1000 passengers and more. Cruises can be offered separately but can also consist part of a hand-crafted itinerary that includes additional island and mainland destinations, a honeymoon vacation package or a luxurious escape.